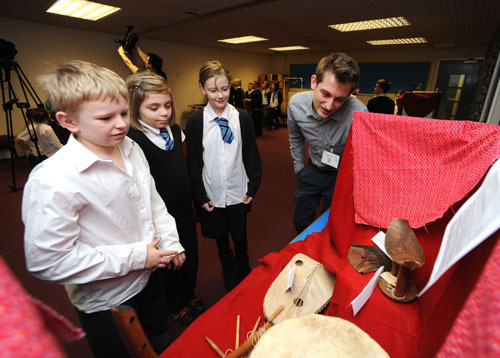 Regan’s class is part of The Robertson Trust funded project which is working with schools to develop boxes of museum objects available for free borrowing. Regan tells the story of preparing for a day event showing the work her class has done over the past year with the Museum. 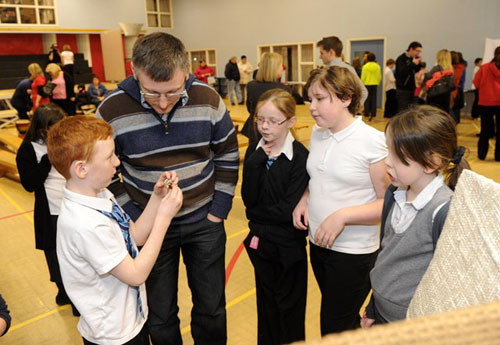 The partner school is Methilhill Primary and Community School, Fife, and the event took place on 2nd Feb 2012. 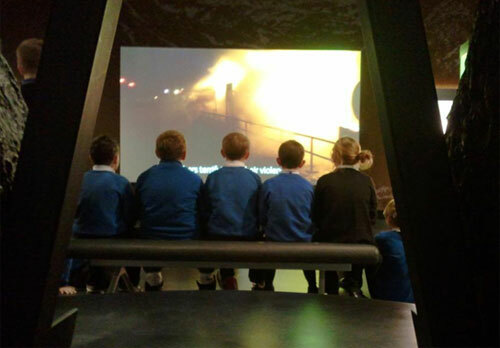 You can find out more by reading this previous post by Community Engagement Officer Conor Hull or on the Community Engagement section on the National Museums Scotland’s website. Before Thursday we had to plan our exhibition. We had to decide on where our objects and material went. Then on the laptops we made some labels and a title. 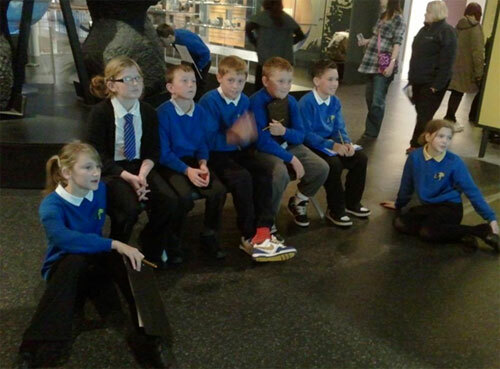 Eventually area 10 (another class) came to see us practise our exhibition for Thursday – they really enjoyed it! 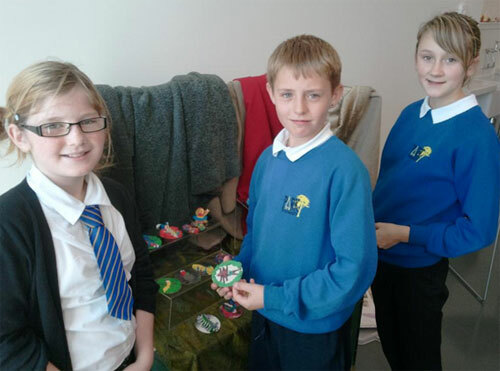 P6 choosing objects for the African exhibition at Methilhill Primary and Community School, Fife. Next it was the day! I was so nervous I was shaky. Then we began to walk to the drama studio. Then we suddenly walked in and as we walked in there was Conor, a photographer and a professional cameraman and we had to prepare our exhibition. 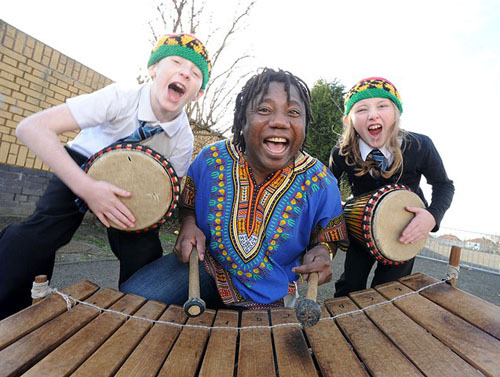 Soon after break an African man called Chief Chebe was teaching us to play drums, African drums, and some of our parents came. Then we got taught a seed game. I was in a group with Samantha and Melissa. Then area 13 (another class) came in. 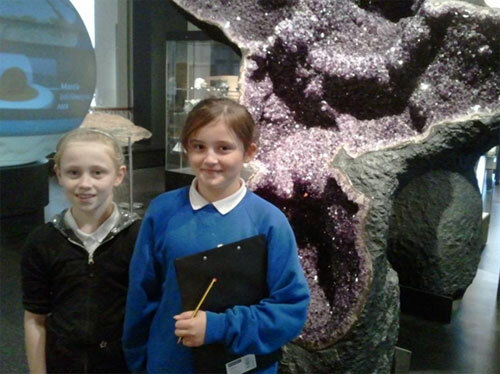 It was very nerve-wracking because they are a bigger class. 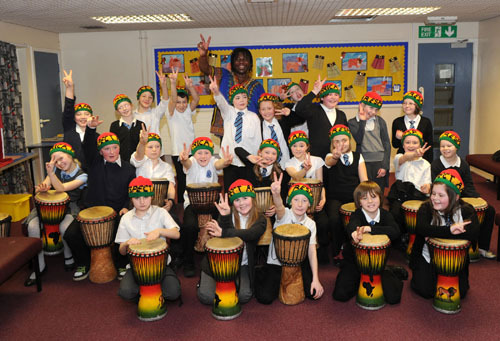 Chief Chebe and P6 at Methilhill Primary and Community School, Fife. Soon it was show time! 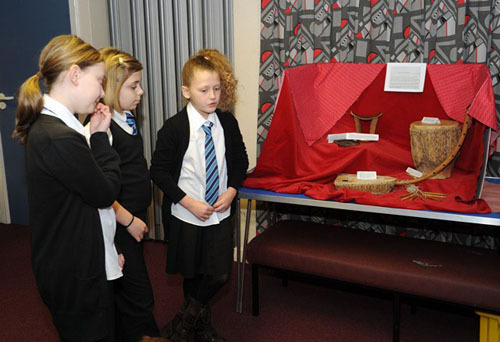 To show our parents what we had been up to with the Museum project we then had to move our exhibition to the hall. Meanwhile our parents came in. I was so nervous and a little bit scared stuff might go wrong! 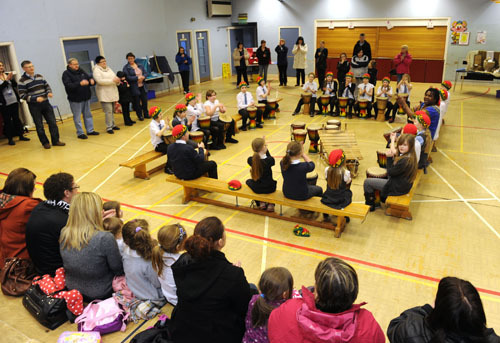 P6 playing African drums to an audience at Methilhill Primary and Community School, Fife. My parents were very proud of me. 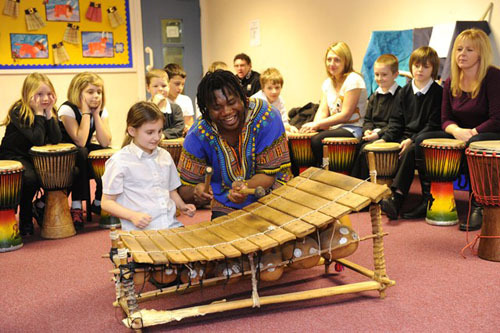 Then we had to play our drums in front of everyone in the school even parents! I was very jumpy, then we finished and everyone cheered and clapped. At the end my parents said I was outstanding. I was very proud of me and my class. However we had to say our goodbyes. I didn’t want to say goodbye to Chief Chebe. I loved every second of it and it was a GREAT experience. 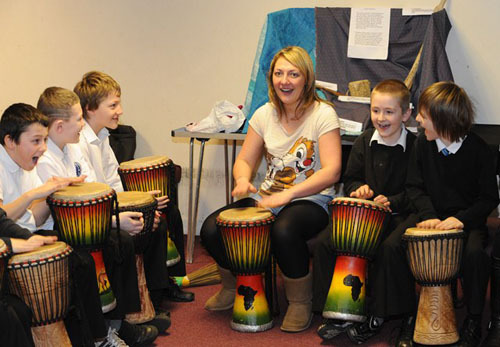 P6 practising the African drums at Methilhill Primary and Community School, Fife.